Earth. Sky. Water. 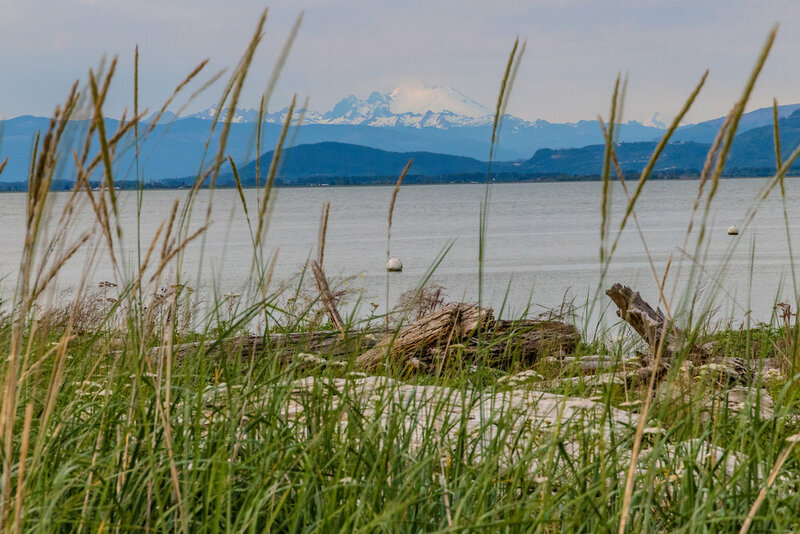 Camano Bliss. 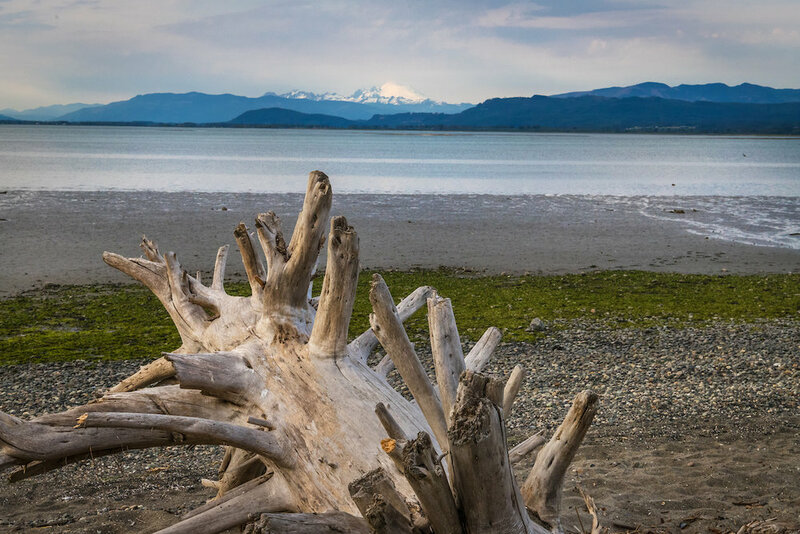 Take the unforgettable step and experience a rare slice of island shoreline everyone in the Pacific Northwest dreams of. 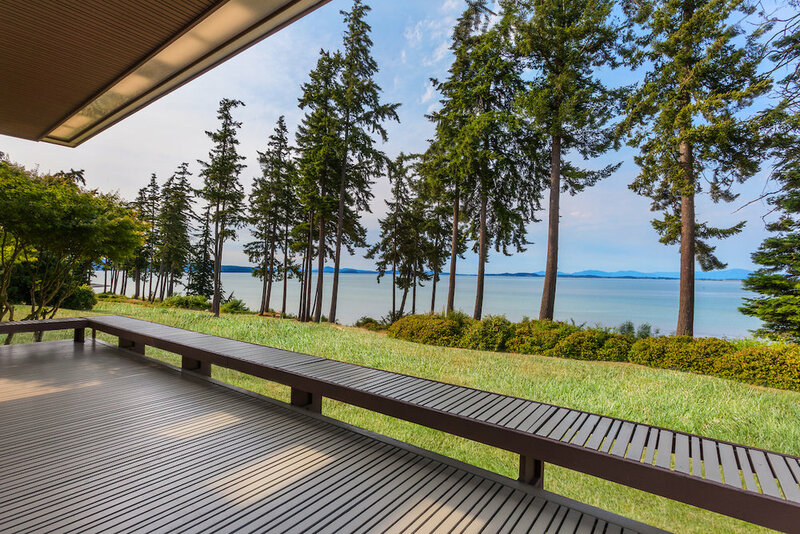 Architect Keith Kolb designed this gem on 10 luscious acres with Usonian ideals of a home’s fit within its setting, simplicity and efficiency, and soft tones. 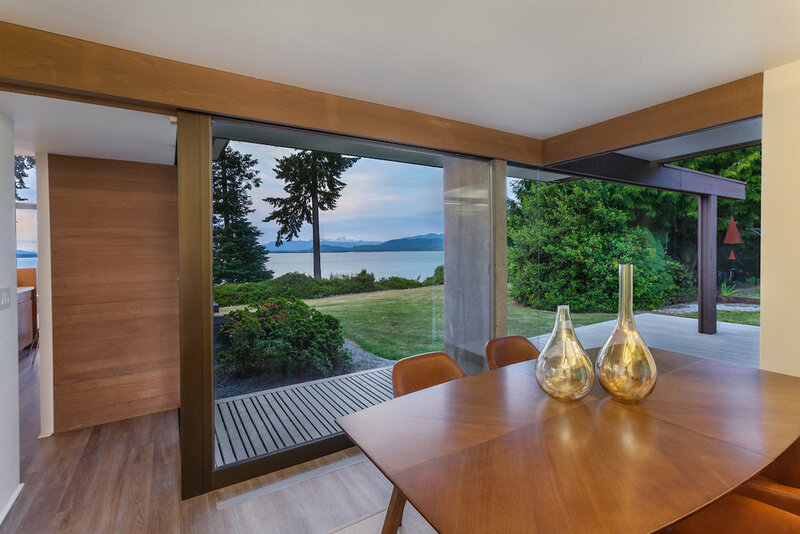 High windows—rising 16 feet—minimize the separation between outside and in, and every room peers out to the sea and distant North Cascades. 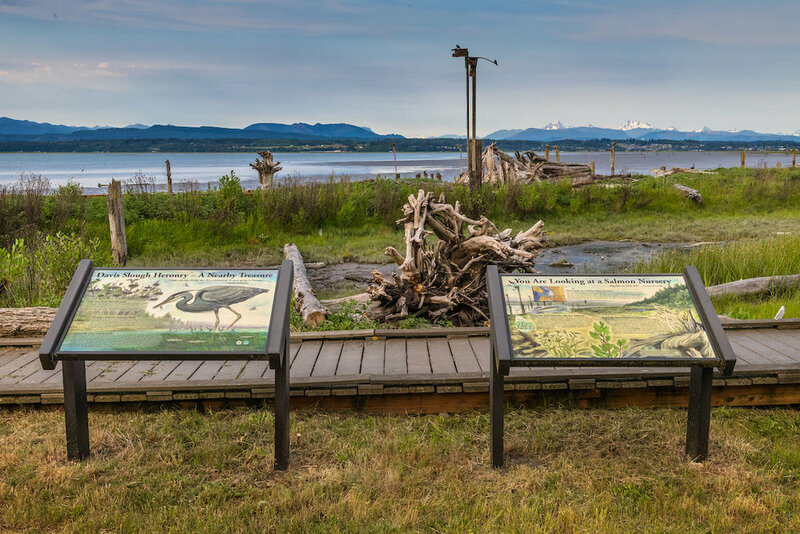 Look for whales, orcas, shore birds, and their prey along 333 feet of precious waterfront and tidelands, with panorama views of Mount Baker, San Juan Islands, Puget Sound, Whidbey Island, La Conner, and more. Straight shot to I-5, no ferry. 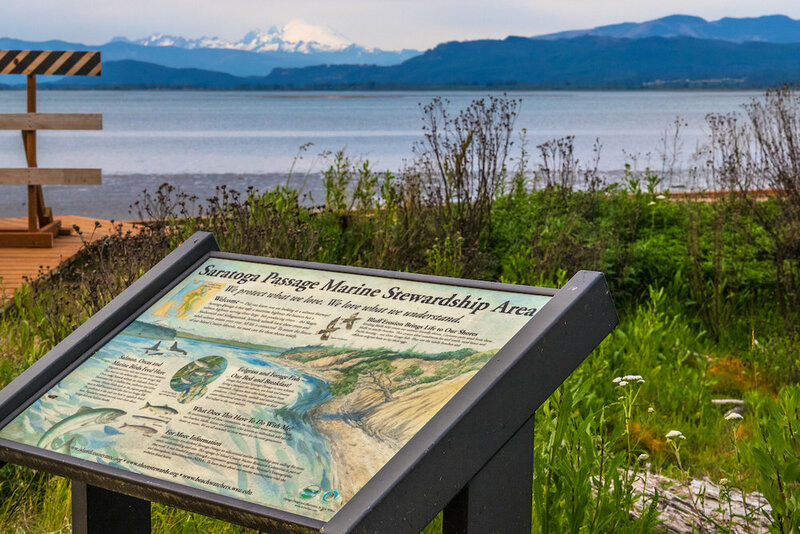 Revel in the wonders of the seashore and mountain vistas every second of each lovely day in your island haven, as the play of light dances on your private beach along Puget Sound at the tip of Camano’s rustic Browns Point. 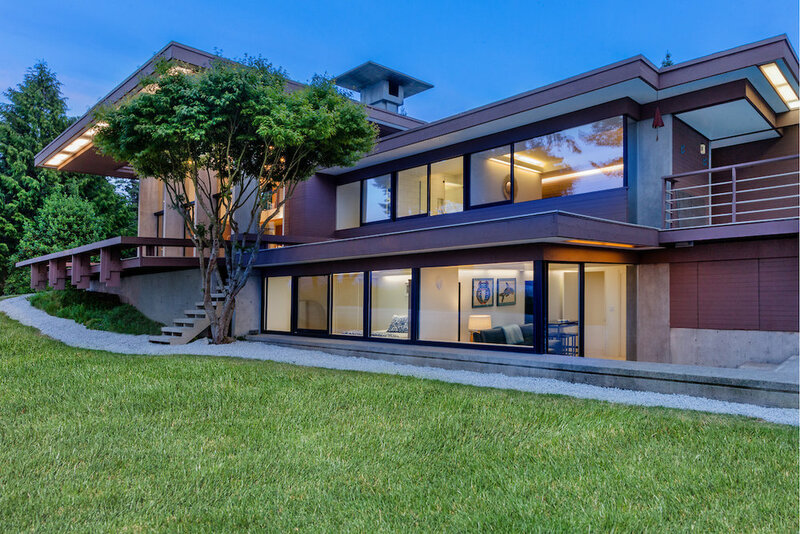 The home’s design emphasizes a convergence of the natural world with living spaces to simulate living inside and out at once. Every room’s accents point to the long view across manicured landscaping in the foreground to a picture-postcard scene. Make your nest in spaces that nurture one’s sense of place, of belonging, of intimately feeling the world in front of you and underfoot. Materials, hues, and sightlines work to harmonize with what makes life magnificent. 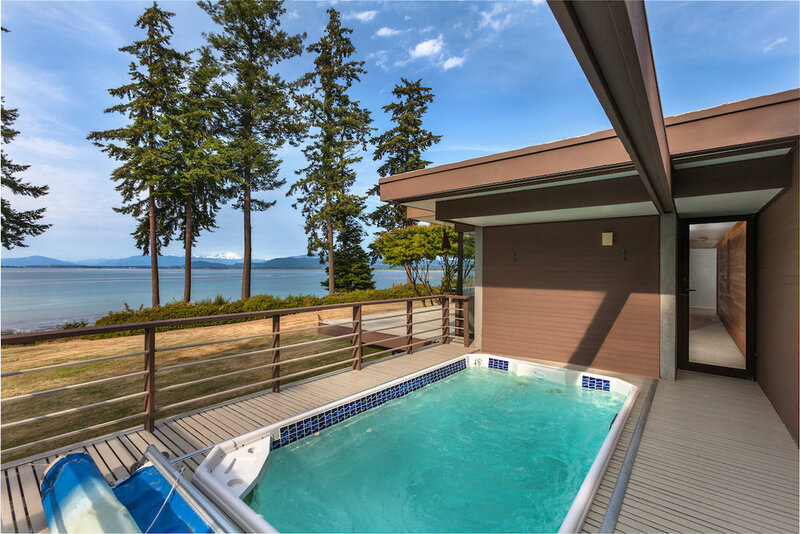 Just outside of the master bedroom, discover a hidden deck where a convenient Hydro Works pool with simulated current for daily exercise rituals and therapeutic care and comfort. 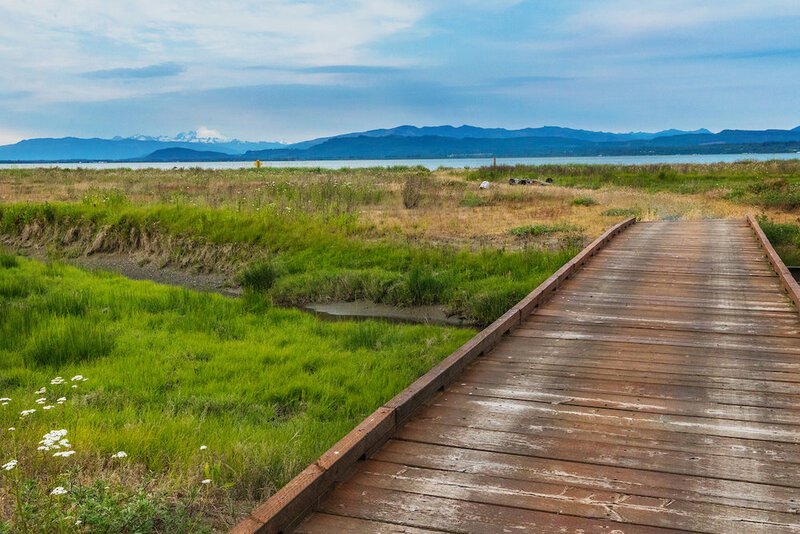 Bask in life’s rewards, the sheer beauty and wonder of the Pacific Northwest, and the pleasure of friendly and gracious neighbors. Lavish guests with the same balance of cozy comfort and living up close to the great outdoors. Downstairs, an extra room benefits from privacy as well as its inviting stairway that slopes up to an ample back yard. Innovatively planned interior spaces follow an artist’s fine line from one room to the next, sometimes passing through hidden doors; and inventive built-in nooks—plus the finished garage—make storage a breeze. 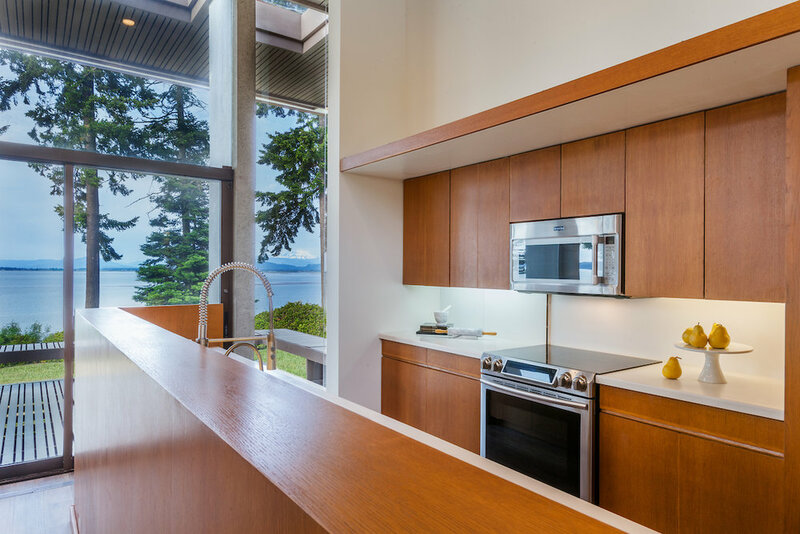 The home can accommodate a licensed commercial kitchen, and boasts an upgraded water filtration system. These precious ten acres include a back lot, greenhouse and large garden, fruit trees, and a private 16-acre community beach.